The establishment of five private universities here is helping to transform the work force in this part of Cambodia, one of Asia’s poorest countries and a society still living in the shadow of the genocidal rule of the Khmer Rouge. Employers say that English proficiency is rising and that workers who attend universities stand out for their ability to express themselves and make decisions. A generation of students who would otherwise have had little hope to study beyond high school are enduring grueling schedules to get a degree and pursue their dreams. Khim Borin, a 26-year-old tour guide by day and law student by night, says he wants to become a lawyer. But he sometimes has trouble staying awake in class during the high tourist season, when he spends hours scaling vertiginous temple steps and baking in the tropical sun. “I tell my friends, ‘Hit me if you see me falling asleep,”’ he said. The five universities in Siem Reap currently enroll more than 10,000 students. Most of the campuses, which are scattered around the town, are quiet during the day but come to life with the buzz of students’ motorcycles as soon as the sun sets. The United Nations and foreign aid organizations have had an oversize role in helping steer the country since the Khmer Rouge were driven from power more than three decades ago. But the symbiosis of work and study here came together without any master plan. It was driven largely by supply and demand: universities opened to cater to the dreams of Cambodia’s youth — and offered flexible hours in sync with the rhythms of the tourist industry. University administrators say 80 to 90 percent of the students hold full-time jobs. “They come here, find a job first, and then they start their bachelor degree,” said Rous Bunthy, vice president for administrative affairs at the University of South-East Asia, which opened here in 2006 and has an enrollment of 2,300. Most students pay the annual tuition of $400 themselves, Mr. Rous Bunthy said. “Some of their parents can help a little — maybe $10 a month,” he said. Although the fees are a small fraction of what private universities in more developed countries charge, students often struggle to pay, administrators say. “The main problem is financial support,” said That Bunsay, vice president of administrative affairs at the Siem Reap branch of Build Bright University, the largest in Siem Reap with about 5,000 enrolled. “They need to find money first and then go to school — money is the first priority,” Mr. That Bunsay said. Luckier students get sponsorship from foreigners. On a recent evening, an Argentine insurance saleswoman on vacation here, Maria Theresa Landoni, waited outside Mr. That Bunsay’s office. She had come to the university to pay the tuition of a young woman who wanted to study tourism. 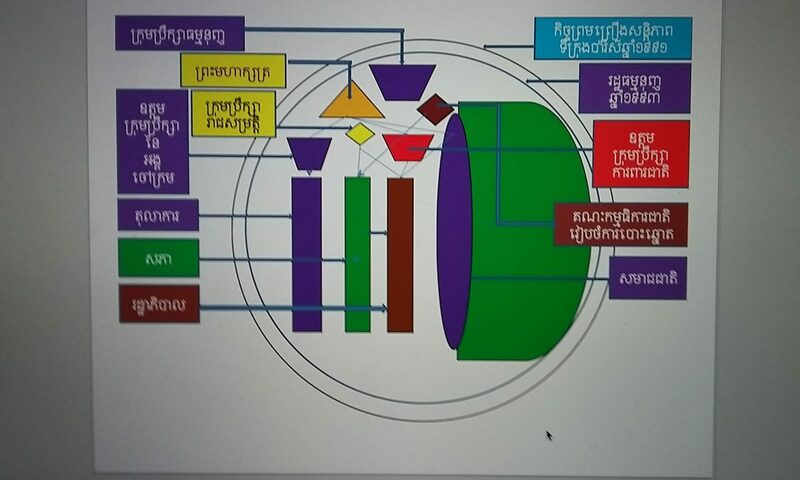 All five of the universities in Siem Reap are privately owned, and some are for-profit institutions. But administrators say it will be years before the owners of the universities make money. The wealthy Cambodians who back the schools seem to see them largely as philanthropic ventures. “The shareholders say they are wasting their money compared with other investments,” said Mr. Rous Bunthy of the University of South-East Asia. “But they are happy because they are helping people.” Among his university’s shareholders are the owner of a clothing wholesale business, a beer magnate, the owner of a supermarket chain and the founder of a successful English-teaching school. The quality of the universities in Siem Reap is uneven, says Mr. Hem Sophoan, the tour guide, who is studying for a master’s in public administration. “They are thinking about quantity first — to support their business. They are happy if they have many students. They want market share,” he said of the universities. Many graduates seem to have stayed with their employers and moved up, their degrees having made them better prospects for managerial roles. But it is too early to draw conclusions about whether the degrees are leading to better jobs. The six-year-old University of South-East Asia, for example, has had only two graduating classes, and they were small. Still, Mr. Hem Sophoan and other students say that despite any shortcomings at the universities, the experience of attending classes and obtaining a degree is transformative. Chan Sreyroth, a 29-year-old manager at a company that owns restaurants in Siem Reap, says she sees a big difference in her employees who attend universities. Ms. Chan Sreyroth and others say they are lucky that Angkor’s temples have proved so popular with tourists. If it were not for the sandstone structures nestled in the jungles, Siem Reap would probably have remained a backwater. Last year, 3.3 million tourists visited Siem Reap, half of them foreigners, according to the Cambodian Ministry of Tourism. Kong Soeun, the deputy director of the local tourism office, is trying to convince others in the tourism industry that Siem Reap should declare an annual day of remembrance for the people who built the temples. He says the tourist industry helped resurrect his life. His early years were shattered by the Khmer Rouge. Of 11 brothers and sisters, 6 disappeared. But he put himself through university with income earned as a tour guide, earned a law degree and dreams of becoming a crusading lawyer.